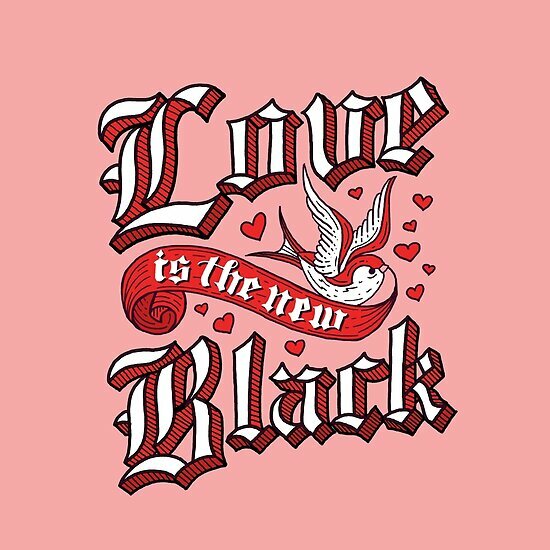 Portland-based, illustrator and hand-lettering artist, Dina Rodriguez, is the creator of Letter Shoppe. 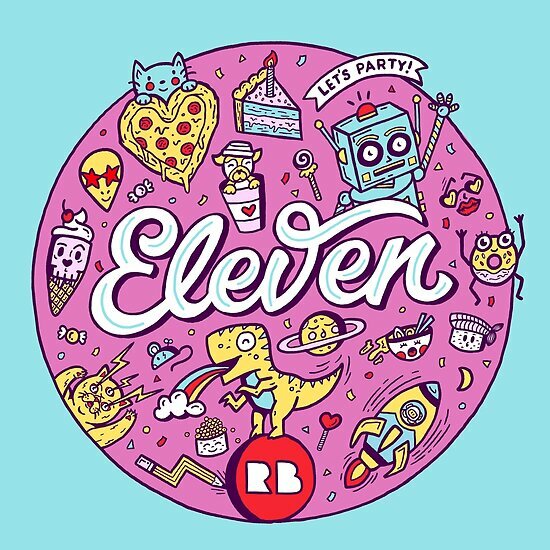 Last month, Dina, created an epic design to celebrate Redbubble turning 11. Dina is a kickass businesswoman, teacher, leader, and so much more. Her core values are something she is 100% committed to and every area of her art reflects her passion and energy. Read on to find out more on Dina’s hand-lettering workbooks, vlogs, and her initiative to bring awareness to the “Women of Illustration”. 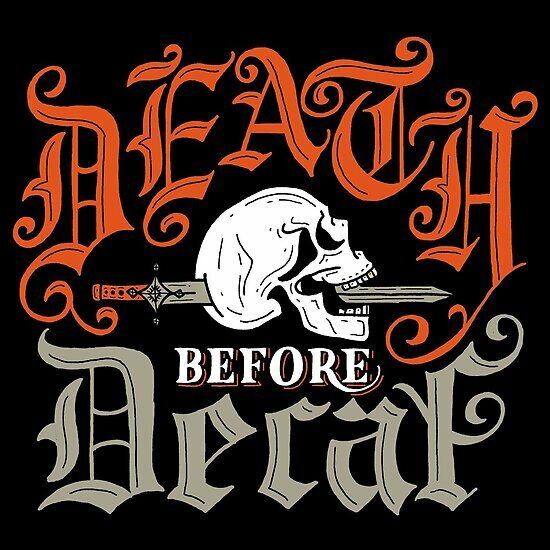 When did you first become interested in hand-lettering? I discovered lettering when I was looking for a creative outlet away from my graphic designer day job back in 2014. I had always been a natural born artist, but somehow I lost my roots as I grew up and needed an excuse to start drawing again. Picking up the pencil after taking over a decade-long break was really difficult, so I took up lettering because it seemed like an easier option to start with. I could either get back into illustration where I would have to re-learn how to draw everything in existence or just the 26 characters of the alphabet. The rest is history. You have a strong business sense. How has this developed? Back when I had a day job, I specialized in marketing so I could get better at pitching the designs I was creating. It’s one thing to make a pretty picture, but it’s quite another to make an illustration with a designed purpose for a specific audience. Knowing that I wanted to go freelance, I used up as many resources as I could before I took the leap. I was going to marketing conferences, taking courses, and getting certifications so I could better understand the process of selling. Although a marketing course might just sound like the most boring thing ever, it has helped me grow faster than a lot of my competition, allowing me to surpass some of the lettering heroes I looked up to when I first started. Would you tell us a bit about your vlog? What types of artists, stories, or videos are your focus? Teaching has always been a big part of my practice so I could better understand and document the things I was learning as my experience grew. I started my vlog as a test in transparency and confidence where I would show more of a non-glamorous look at what it’s like to be a full-time illustrator. Would you tell us about your “Women of Illustration” initiative? I started this web series so I could feature more women in the arts in an effort to help us be heard, make art, and get paid. Although women make up 40% of the industry, less than 10% are featured in the media. I wanted to change this by exclusively interviewing women from all backgrounds, experience levels, and skills so I could help paint a clearer picture of what it takes to make a living as an artist. I also started an accompanying Instagram where I feature women from all over the globe to bring awareness to new budding artists using the hashtag #womenofillustration. Tell us more about your workbooks. Where can you buy them and what’s next? I started my workbook series Lettering Adventures at the beginning of 2017 to teach one new style of lettering every month on Patreon. Not only do I create printable workbooks that help you learn entire alphabets letter by letter, I also offer video tutorials, project critiques, and weekly group meetings to better help type enthusiasts expand their skills. What are your creative tool(s) of choice? My go-to tool is my iPad Pro and Apple pencil where I use an app called Astropad to connect my tablet to Photoshop so it works more like a Cintiq (but for less than half the price.) This tool alone cut my production time in half allowing me to ship out a crazy amount of work. I also love using Photoshop brushes that mimic traditional tools like pencils and markers so my work always has that handmade feel. My go-to brush kit is from Retro Supply Co called The Hand Lettering Toolkit that I got over a year ago and still use literally every day. What’s been the hardest lesson you’ve learned while creating a successful illustration career? Take the time to really craft an onboarding and production process before you start taking on clients. Figure out what your client’s goals are and establish boundaries with every new project you take on. Over-communicate with people and design an organized process from initial client inquiry to final project delivery so you can see the red flags before they happen and leave every client interaction a happy one. Interested in finding out more about hand-lettering? Want to collect your favorites? Follow Letter Shoppe and stay in the loop.